Virneanu Nicolai, aka Nick V is a producer from Republic of Moldova. Based in London, United Kingdom, Nicolai was born on April 11, 1991 and was interested in music — classical as well as modern — at a young age. Being classically trained on the piano and incredibly passionate about music led to him taking up DJing and producing in his early teenage years. He first established himself as a producer with the release of ‘The Valley of Kashmir’ on the Romanian label Electronic Waves Records in 2014. In the years that followed he took the Trance scene by storm with singles such as ‘Valahia’, ‘Crimea’, ‘L’Esperance’, ‘When I See You, ‘The Echo Of Her’, ‘Talisman, ‘Give Way. This resulted in him being championed by the genre’s leading DJs including Aly & Fila, Manuel Le Saux, RAM, Roger Shah, Sean Tyas, M.I.K.E. and Paul van Dyk. Numerous remixes for tracks such as ‘SoundLift - River Side, ‘SinSonic - Stratus, ‘Bolotbek Rysbekov & Sohpisticated - Epsilon’ and ‘Alikast – Doinna’. Currently signed to Abora Recordings, Trance All Stars,Redux Recordings, Pulsar Recordings and now Discover White Label. 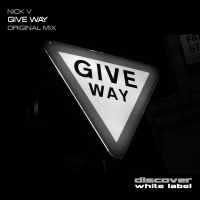 So keep your eyes on Nick V, more trance tunes are on the way.